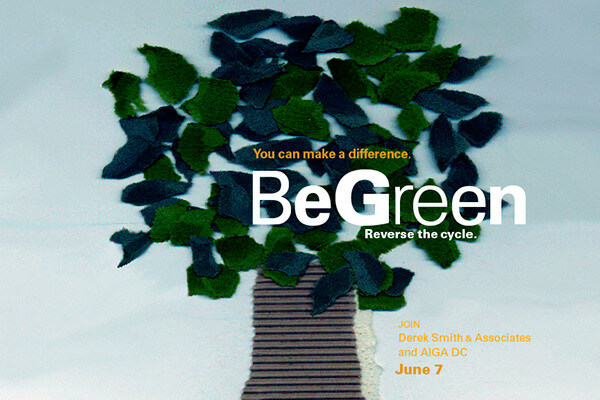 "Be Green" was designed for the Washington, DC chapter of the American Institute of Graphic Arts [AIGA]. 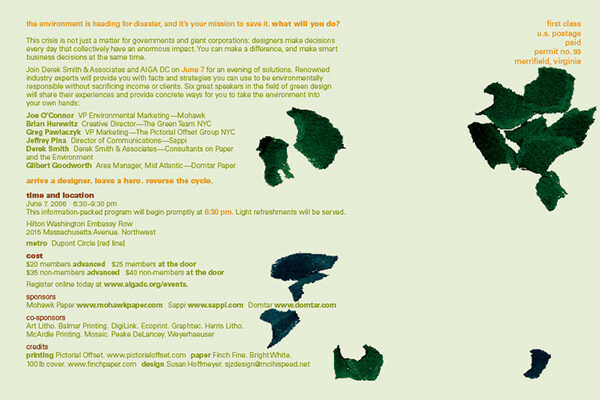 Announcing one of their summer events, the piece notified viewers of the chapter's concern for environmental responsibility by featuring a series of speakers on the topic of green design. Image shows front of postcard. Image shows back of postcard.